According to the announcement from IEEE that ICASSP 2011 was loaded into Xplore library, we added links to the Xplore. 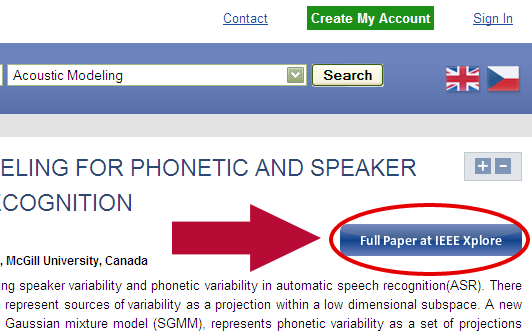 So if you find an interesting presentation and want to see/read the paper, just click on the link below the title. You will be redirected to the particular paper in the IEEE Xplore library. We hope you find this feature helpful. Drop a comment below otherwise.